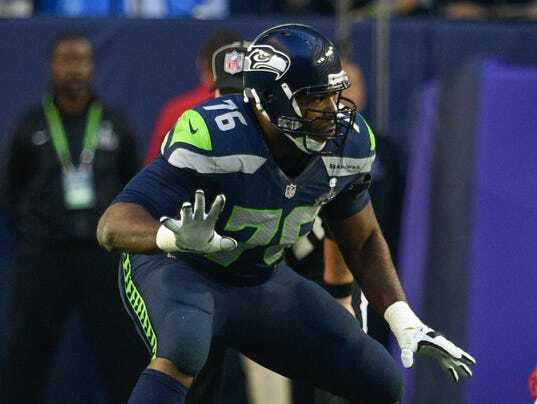 ENGLEWOOD, Colo. — Russell Okung heard the criticism of the self-negotiated contract he signed with the Denver Broncos in March. He just doesn’t agree with it. The left tackle, whose five-year, $53-million contract is really a one-year deal worth $5 million with a team option to pick up the rest of the deal after the 2016 season, said he has no regrets and would not have done anything differently in negotiating the contract. “The best deal in the best place,” Okung said. Okung’s deal is only good for him should the Broncos pick up his option after this season — and while that caveat may appear like a negative, Okung viewed it as the opposite.